Searching for the perfect finishing touch to your eveningwear? 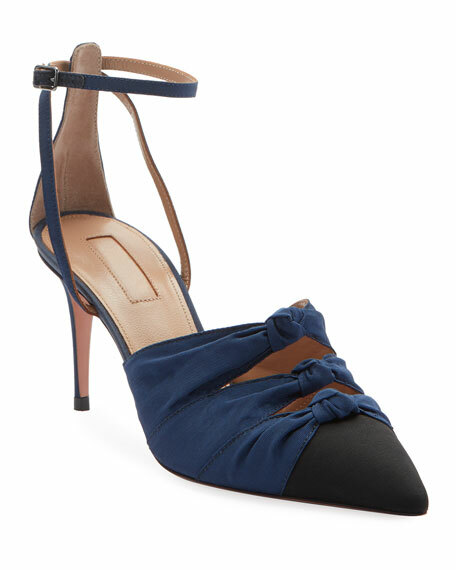 Bergdorf Goodman has the perfect selection of women’s evening shoes in brilliant colors, bold, and striking styles. Bergdorf Goodman offers a highly coveted selection of sensational women’s designer evening shoes that are guaranteed to make a statement. You can easily browse through our collection by designer name, size, and color. 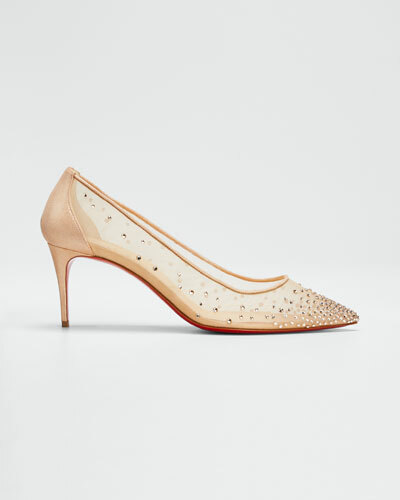 Whether you are looking for laced pumps or caged sandals, Bergdorf Goodman has exceptionally crafted designs created by some of the world’s most-coveted designers. 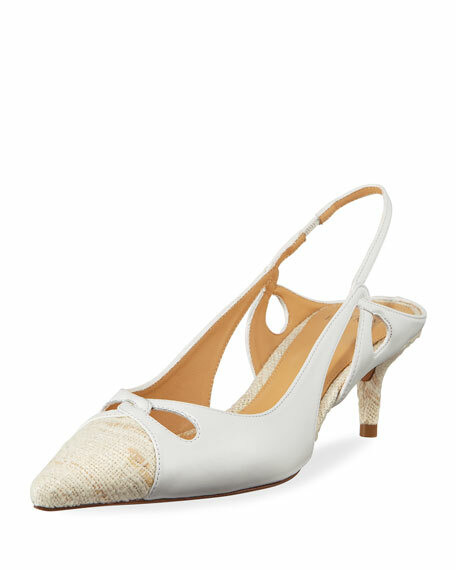 Add glamour to your outfit with ballerina flats in bright colors or satin pumps with gorgeous detailing. 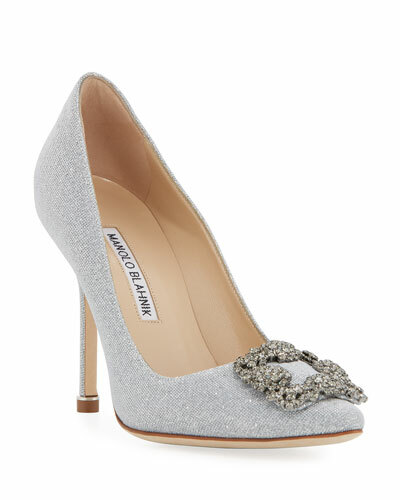 Shop Bergdorf Goodman for women’s evening shoe collection for the latest styles from top designers. 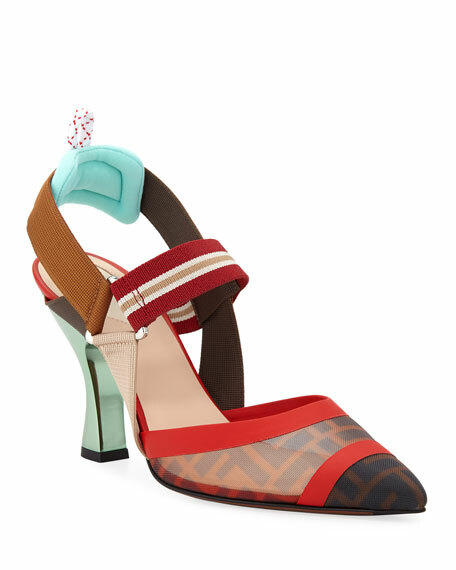 Fendi pumps in fabric, satin and FF-embossed mesh. 3.3" metal block heel. Pointed capped toe. Slip-on style. Cushioned slingback strap. Pull-tab at back. Leather lining. Smooth outsole. "Colibri" is made in Italy. 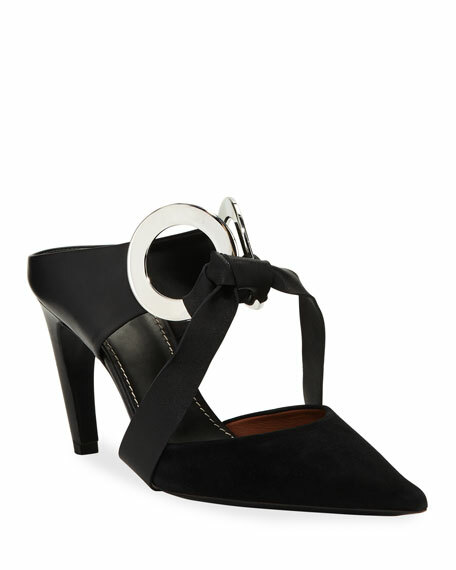 Proenza Schouler leather and suede mule. 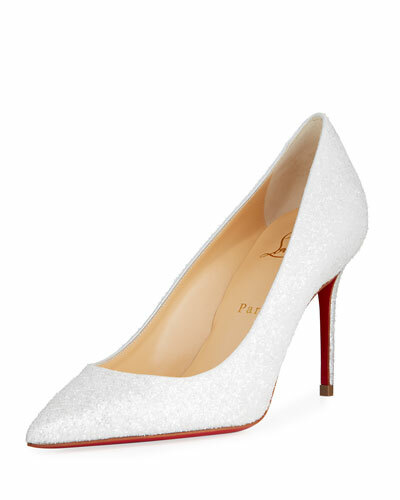 3.5" covered, horn-shaped heel. Pointed toe. Two-piece silhouette. Self-tie center with oversize grommets. Slide style. Leather lining and sole. Made in Italy.